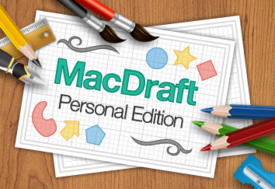 MacDraft Personal Edition, an easy-to-use graphic design solution to rival any other vector-based design tool on the market. It has a very intuitive user interface which means it is much easier to learn and use than other professional level programs. 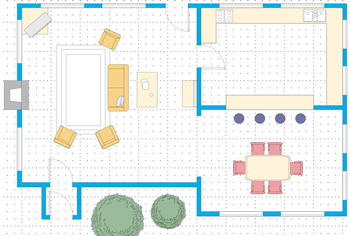 With it’s simplicity, it makes it suitable for all ages, ranging from complex drawings to simple graphics. Symbol libraries are available to help with the drawing process. These can be dragged and dropped into your drawing saving time and money. You can also create your own symbols for use in your particular specialisation. 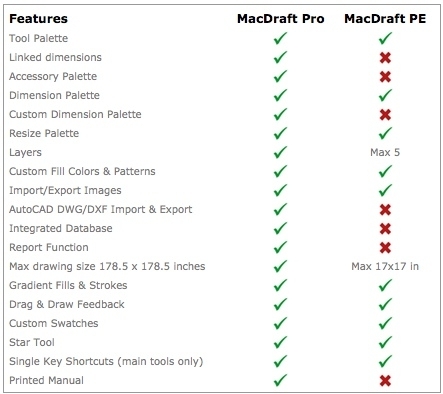 Both MacDraft Pro and MacDraft P.E. allow you to combine vector and pixel based graphics in one document so they can be used for producing different types of documents like posters, banners, greetings cards and newsletters. With the new enhanced image manipulation it is even more useful. Hundreds of thousands of users over the past 25 years cannot be wrong. 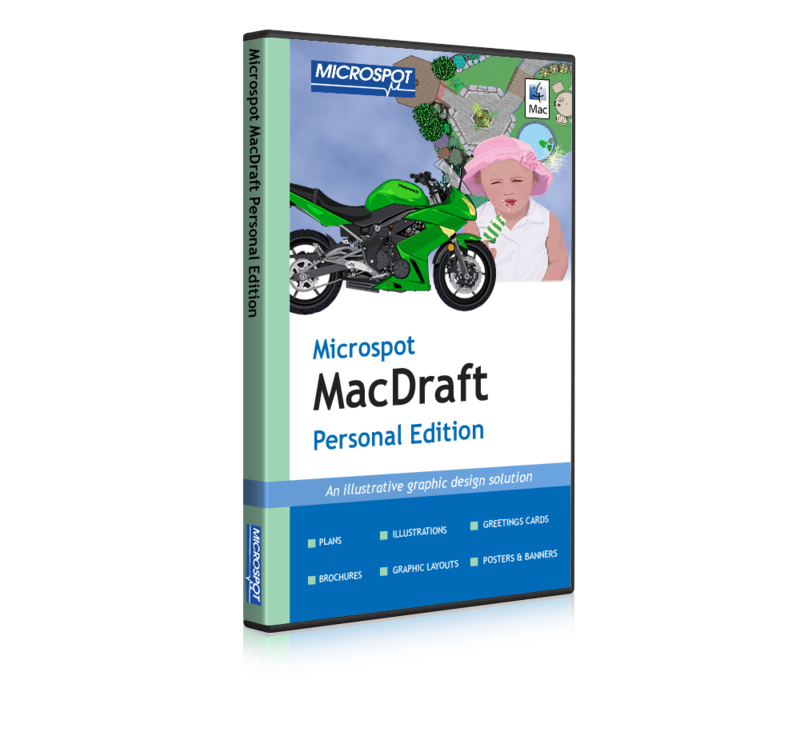 Whether you are using it for the home, business or as an educational tool, MacDraft PE can be the low cost answer to all your graphical needs. MacDraft PE offers it's users maximum control over their drawing setup, you can select from English or Metric units and work at your desired scale. 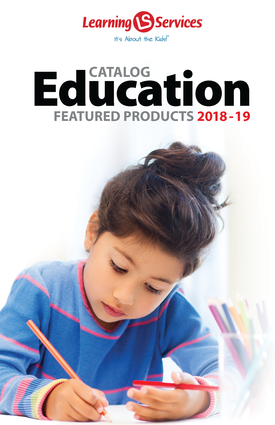 Whether you need horizontal, vertical, diagonal, angular, perpendicular, radial or diameter dimensions, MacDraft PE's dimension palette is always on hand to provide them. 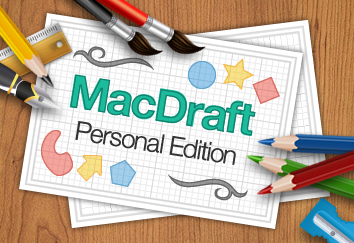 MacDraft PE allows you to import images in the form of PICT, TIFF, GIF, JPEG and BMP. You can also export drawings as PDF, BMP, JPEG, PSD, PICT, PNG and TIFF, or any other Quicktime supported format for that matter.